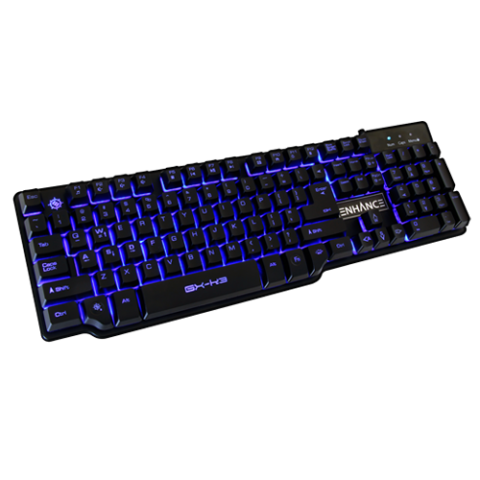 The GX-K3 is designed with hybrid switches that simulate the feel of a mechanical keyboard without having to break the bank. 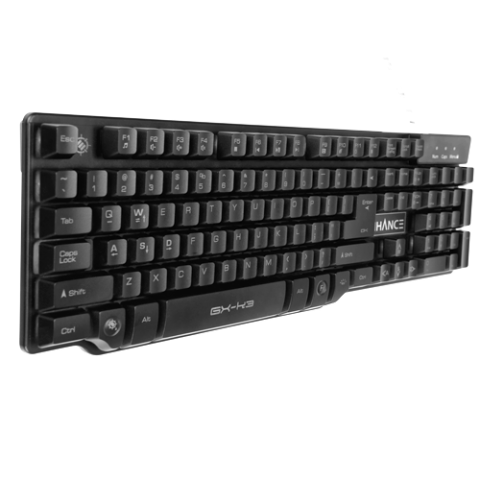 Its aluminum based body and metal back panel design give it a modern and elegant look. 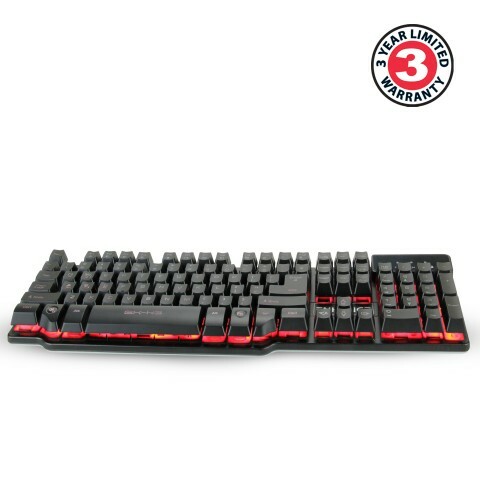 With a sleek low-profile build, it won't take up extra space at your desk or work station; move around freely without having to worry about your keyboard getting in the way! 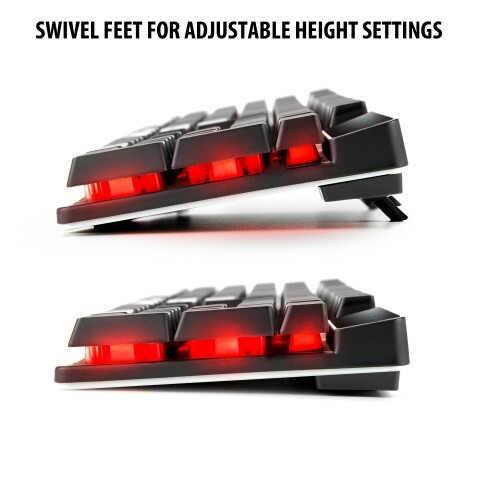 Built-in swivel feet allow for adjustable height settings so your wrists and hands will remain comfortable. 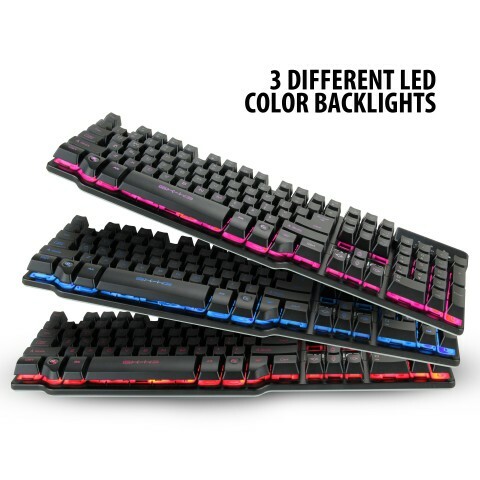 Combined with its sleek appearance the K3 also features LED backlights that cycle between 3 different colors. 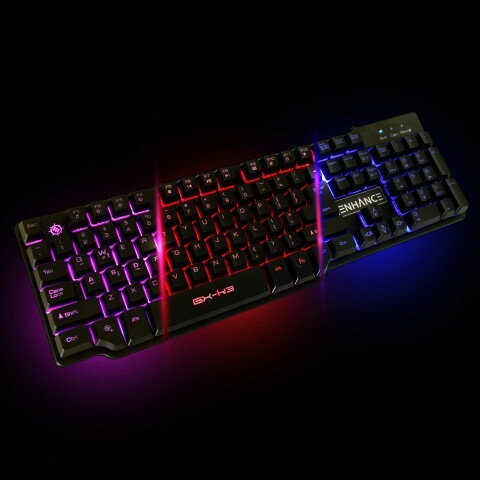 Choose between red, blue or purple for an alluring glow that will bring a unique flare to your gaming setup. Brightness controls let you turn up the LED's, dim or simply turn them off. 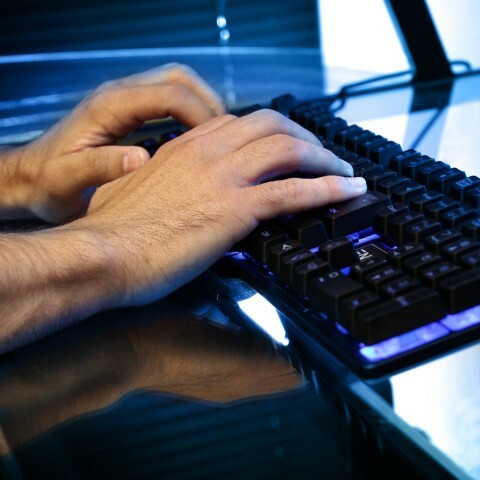 Control how your computer runs with the 12 easy to reach multimedia shortcut keys. Adjust the volume, media control or access your email with ease. 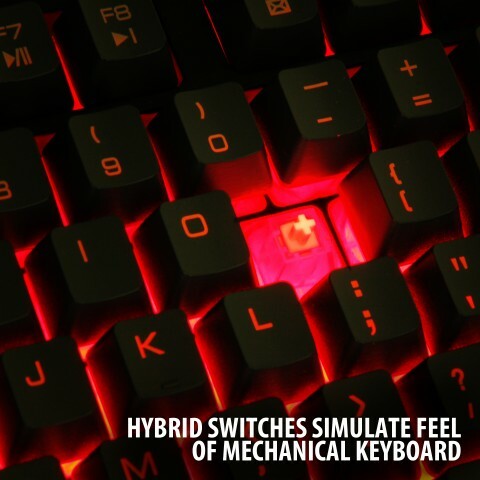 The keyboard comes programmed with smart functions that allow you to map keys, activate turbo mode, or lock the start menu which helps prevent interruptions during gameplay. 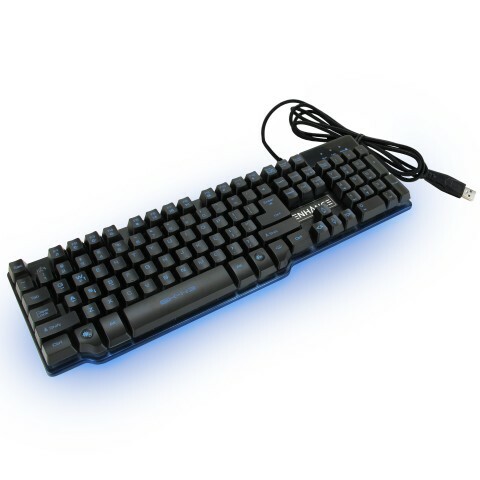 A 65 inch nylon braided USB cable provides strength and reliability that comes from gaming on a consistent basis. 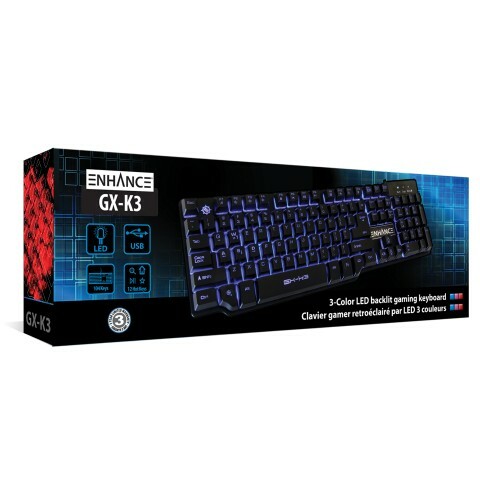 When you take the K3 out of the box it's ready to go , the plug and play design means no driver installation. Just plug it in and start dominating the competition!